Can the Church help me discern? How long does it take to become a priest? 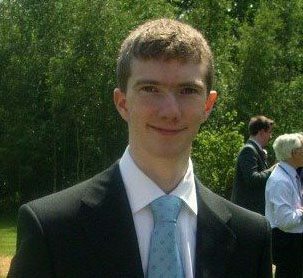 Laurence was born in Portsmouth and attended school and sixth form college around the same area. After taking a gap year working and travelling, he studied Mechanical Engineering at Cardiff. Upon graduating, he began formation for the priesthood in September 2013 at Allen Hall Seminary in London. In speaking about his sense of vocation, Laurence says: “I thought about the priesthood for the very first time around the age of 11 or 12, although it remained only a slight possibility for a number of years. In my late teens I found myself being drawn into my faith much more and simultaneously towards this idea of a vocation. While at university in Cardiff, I got involved in the Chaplaincy, where I discovered a community of catholic students, like me, who were serious about practising their faith. This, amongst other factors, inspired me to start discerning more seriously, a process in which prayer and spiritual direction were key. Realising the value and importance of the priesthood, I saw it as the life in which I could find most fulfilment and in which God could work through me to help other people most effectively. I continued to discern during a year of full-time work in London as part of my degree and, after considering religious life for a while, I finally decided to apply for the diocesan priesthood, being attracted to its pastoral nature and realising the great need today for parish priests. I opted for Cardiff because I’d enjoyed my time studying here and it had been so instrumental in my discernment“. Deacon Laurence was ordained as a Deacon by Archbishop George on Saturday 16th June 2018. He will continue a final year of studies at Allen Hall Seminary in preparation for ordination to the priesthood.